The Twelfth Judicial District Commission on Judicial Performance unanimously recommends by a vote of 10 to 0 that District Judge Michael A. Gonzales BE RETAINED. Judge Gonzales took the District Court Bench in October 2011. Prior to his appointment to the District Court, Judge Gonzales was the Alamosa County Court Judge. Judge Gonzales was also a Deputy District Attorney for the Twelfth Judicial District for ten years prior to becoming the County Court Judge. 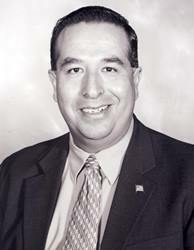 Judge Gonzales received a Bachelor of Science degree in Political Science from Creighton University in 1993. He graduated from the University of Colorado School of Law in 1996. Judge Gonzales has been involved in many different ways with local youth sports and has served on the Board of Directors for the Caring for Colorado Foundation since 2010. In making its recommendation, the Commission reviewed surveys from attorneys and non-attorneys, including litigants, jurors, and others who have appeared before Judge Gonzales during the retention period. The Commission also reviewed Judge Gonzales’ self-evaluation and samples of his written work. Finally, the Commissioners observed Judge Gonzales’ courtroom and conducted a personal interview. Of the attorneys responding to the survey, 81% recommended that Judge Gonzales be retained, 7% recommended that he not be retained, and 11% made no recommendation. Of the non-attorney respondents to the survey, 86% recommended that Judge Gonzales be retained, 7% recommended that he not be retained, and 7% made no recommendation. The Commission felt that Judge Gonzales’ overall performance in his first term as a District Court Judge was outstanding. Judge Gonzales’ written and oral decisions are thorough, but concise and communicated efficiently. Judge Gonzales should, however, work towards issuing decisions in a more timely fashion. There were no concerns from the Commission with regard to a lack of fairness or bias on the part of Judge Gonzales towards any party. The Commission recognized particular growth by Judge Gonzales in the areas of judicial temperament and the appropriate management of his courtroom. The Commission further commends Judge Gonzales for his efforts to improve the use of appropriate decorum when appearing before the Court and for working to avoid the appearance of impropriety in his courtroom.